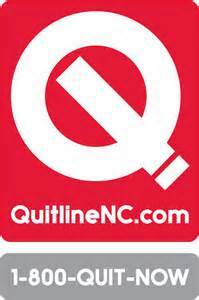 The NCMS Plan has partnered with QuitLineNC (1-800-QUITNOW or 1-800-784-8669) to provide members with a comprehensive tobacco cessation treatment program. This service includes telephonic and integrated web-based counseling PLUS Nicotine Replacement Therapy (NRT) that includes eight weeks of FREE patches, gum, lozenges or combination of all three. Each participant is required to speak with a coach to receive FREE NRT, which will be delivered directly to the member’s home. This unique benefit is better than the standard preventive benefit covered by medical plans. No prescription is required to receive NRT through the QuitlineNC counselor, which means no physician office visit. And, the NRT is sent directly to the member’s home, no pharmacy visit. Jason Horay, Health Promotion Manager, will work directly with Practice Administrators to integrate this service into an overall employee well-being strategy. Marketing materials are available to communicate this service to your employees. As with any Practice Wellness service or resource, the tobacco cessation service is not meant as a stand-alone solution but part of an overall conversation about a well-being strategy. We look forward to further supporting NCMS Plan Practice Administrators and communicating the best tools for tobacco cessation.